540 hp Detroit Diesel, Allison Automatic Transmission, Low Miles, 2000 GPM Waterous Pump, 3000 gl Poly Tank, 420 gl Poly Foam Tank, 7Kw Generator, New Roof & Bumper Turrets, Excellent Condition, Available Now! Detroit Series 60 Diesel Engine, Allison Automatic Transmission, AC Cab, 63K Miles, 5967 Engine Hours, 4-Bottle Cascade System, 7.5Kw Onan Diesel Generator, 2000 GPM Waterous Pump, Available Now! 475hp Detroit 8V92T, Allison Automatic, 21K Miles, 2743 Engine Hours, Hale 1750 gpm Pump, 400 gl Tank, 7.5Kw Onan Generator, Electric Cord Reel, Ground Ladders, Current Certifications, Excellent Condition, Available Now! 500 hp Detroit Diesel Engine, Allison Automatic Transmission, 52K Miles, 3305 Engine Hours, Hale 1500 gpm Pump, 200 Gallon Aluminum Tank, 7.5Kw Onan Diesel Generator, 6-500 Watt Scene Lights, Great Condition, Available Now! 350 hp Detroit Diesel Engine, Allison Automatic Trans, 47K Miles, 3620 Engine Hours, 1500 gpm Waterous Pump, 500 gl Poly Tank, Deck Gun, Booster Reel, Front Intake, Trash Line, Excellent Condition, Current Pump Cert, Available Now! XLT 4x4 Dually, 6.0L Ford Turbo Diesel, Automatic, 6K Miles, 250 gpm Pump w/Briggs 10 hp Engine, 300 gl Poly Tank, 30 gl Class B Foam System, Booster Reel, 12,000 lb Winch, LED Light Bar, Great Condition, Available Now! 320hp Cummins Diesel, Allison Auto Trans, 23K Miles, 1500gpm Pump, 500 gl Poly Tank, 50gl Foam, 6Kw Winco Generator, 150ft Cord Reel, Deck Gun, 4-Scene Lights, Good Condition, Available Now! 500 hp Cummins Diesel Engine, Allison Automatic Transmission, 23K Miles, 1996 Engine Hours, 1750 gpm Hale Pump, 500 gl Poly Tank, 8 Kw Generator, Electric Cord Reel, Air Conditioning, Current Certs, Excellent Condition, Available Now! Count on the used fire truck specialists for all of your used fire apparatus needs! Whether your Fire Department is buying, selling or trying to trade a truck in on a purchase, we'll help you get the best used fire apparatus for the best price, guaranteed! Company Two Fire has your Fire Department covered! 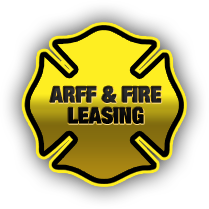 We have ARFF trucks and fire trucks for lease! We can supply your Fire Department with the fire apparatus you need for long or short term emergencies. We ship anywhere in the USA or around the globe. 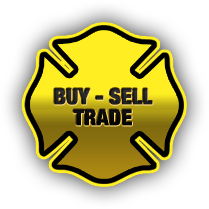 Do you need help selling your used fire trucks? We will list and advertise your used fire apparatus for FREE! We make it as simple as possible and we're here to help you through the process every step of the way. Start by filling out our online truck data submission form to get started today! Hard to find ARFF parts and miscellaneous fire truck parts are available now! Please visit our online EBAY store to browse our equipment ranging from random fire truck parts, fire body's, ARFF parts, poly tanks, to pumps. Credit cards and Pay Pal are accepted as payment. Quincy I got a chance to go play with the truck yesterday and am once again pleased with it and have requested that you get your payment, but I need you to send me a copy of the invoice. Please make sure that it also shows the trade in of the Oshkosh. Hey Guys and Gals, this truck is AWESOME! It is everything we wanted in a truck. I have spoken with a few other Chiefs and they are definitely going to add Company Two to there favorites list. We are a growing fire district and there will be some other trucks needed. I can't say enough about the service I have received at Company Two. On a scale of 1-10, my whole experience has been a 12!" "I would like to take this opportunity to thank you and the members of your staff for a great buying experience. The quality of the work was excellent, the condition of the truck was better than expected. After flying out to your facility to inspect the truck for delivery, we were even more convinced we had made the right decision in choosing "Company Two Fire" for our apparatus purchase. When it comes time to purchase again, you will be the first call we make." When your Fire Department is planning on buying a brand new fire apparatus or even a used fire apparatus, it is important to remember that other Fire Departments are planning their used apparatus purchases also. The best way to make sure your Fire Department gets the most for it's surplus used fire trucks is by letting Company Two Fire list them for FREE! The more time in advance that you let us advertise your used fire apparatus, the greater your chances of us finding a buyer by the time your new apparatus is delivered! When should you call Company Two Fire? You should call us today if you know that your surplus used fire truck is going to be released now or in the next 6-18 months. Don't wait, it's FREE to list your used fire apparatus and the more time we advertise your used apparatus the better. Call us today! 866-289-6188.